1. All the fees should be paid in Chinese currency. 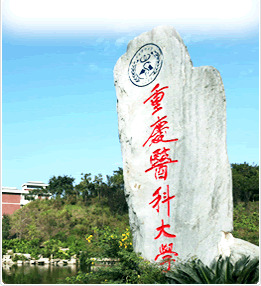 USD drafts are accepted for those who are not able to pay in Chinese currency (Insurance fee can only be paid in cash of Chinese currency in the finance department of CQMU), but students are responsible to make up the balances according to the related university regulations about the exchange rate. USD cash will not be accepted. 2. In the final academic year, the MBBS students who choose and are approved to do their internship in their home country or in other countries, other than in CQMU, only need to pay 20% of the tuition fee of that year. According to Nepalese Government, students from Nepal are not allowed to do internship back in Nepal. 3. Tuition and accommodation fees should be paid yearly. 4. According to the requirements of Ministry of Education in China, it is compulsory for every foreign student to buy insurance. CQMU is responsible to collect the insurance premium and transfer it to the insurance company. CQMU will only accept the cash of Chinese currency for the insurance. 5. For all applicants, the application fee (450 RMB) and the insurance fee for the first year (800 RMB) should be paid to the university account after their application documents are preliminarily checked and they are admitted and before the Visa Application Form of Foreign Personnel (JW202 form) is issued. 6. If the undergraduate students need the bedding stuff, they can pay the deposit and get it in Overseas Students Office on new campus after their arrival. The deposit will be refunded after they pay such fee in the finance department later. 7. The damage deposit will be refunded as the case may be upon graduation. 8. Water, electricity, gas will be charged according to the actual amount of usage and paid by the students themselves. Expenses of food, outpatient medical treatment as well as inpatient medical treatment which can not be covered by insurance, transportation, internet and telephone etc. will be paid by the students themselves.